Tap Month sub dial to zoom. 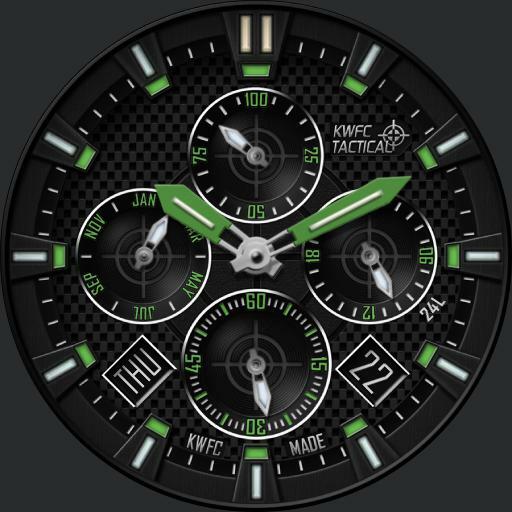 Tap Seconds sub dial to cycle dial accent colors. Tap 24 hour dial area to change 24 hour hand mode, 1 = Local 24 hour, 2 = UTC, 3 = TZ1, 4 = TZ2 and 5 = TZ3. Tap Battery dial to switch to next UColor. Seconds hand is phone battery level on dim.